The Birth Of Muzikpulse, Being born into a family of musicians, Steve’s love for music started from birth. He started playing music in Junior High School, where he learned to play the tuba and trombone. During this time, Steve played in the All-City Marching Band and also in his High School band. In 1992, Steve sought out a new musical challenge and transitioned into playing the guitar, drums and keyboards. He used his new found talents to play with numerous Caribbean bands and in 1998, he and his father (a guitarist) formed their own band, featuring primarily Caribbean and R&B/Soul music. It was during this time that Steve showcased not only his musical instrument talent, but his talent in composing and arranging music. In 2004, Steve branched out and formed his own band. In addition to being the leader of his band, Steve begun honing his songwriting, producing, composing and arranging skills. His vast knowledge of various musical instruments has led to Steve having no borders when it comes to playing and producing various genres of music. 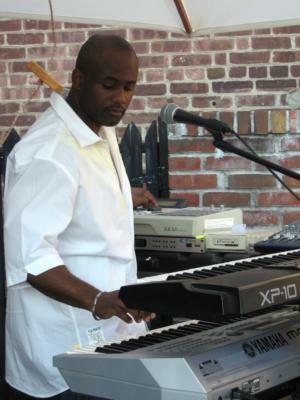 Some of his recent works include but are not limited to R&B, Neo-Soul, Reggae, Hip Hop, Calypso, Zouk, House and Salsa. Steve’s music is innovative and unpredictable, yet extremely exciting. Listeners are amazed at the originality of Steve’s sound, and are always left wanting more from the experience that is Muzikpulse. Please note Muzikpulse will also travel to Long Island City, Brooklyn, North Bergen, Bronx, West New York, Union City, Weehawken, Flushing, Fairview, Edgewater, Hoboken, Jersey City, Ridgefield, Cliffside Park, Palisades Park, Fort Lee, Secaucus, Ridgefield Park, Leonia, Englewood Cliffs.